Despite the year-round warm California climate, Bay Area attic restoration can provide significant benefits for homeowners during the winter months. Even slightly cooler weather can cause you to use more energy resources and your home to feel drafty. Below are some of the top benefits of ensuring that your home has proper insulation this winter. When you have adequate insulation in the attic of your home, your heating unit does not have to work as hard to keep you and your family comfortable. While some homeowners simply turn up the heat without giving it much thought, this can be an expensive option. When you contract with a Bay Area attic restoration company to insulate your attic, this causes the heat to become trapped inside of your home instead of escaping through doors and windows. This is a simple and inexpensive way to reduce the amount you spend on heating your home this winter. Although a heating system can help you feel comfortable indoors, it can sometimes distribute the heat unevenly. That means you might feel warm while hanging out in the living room in the evening but freezing when it is time to go to bed. Another thing to consider is that the forced hot air released from a heating system can be filled with allergens that are unhealthy for the people and pets in your home to breathe in. 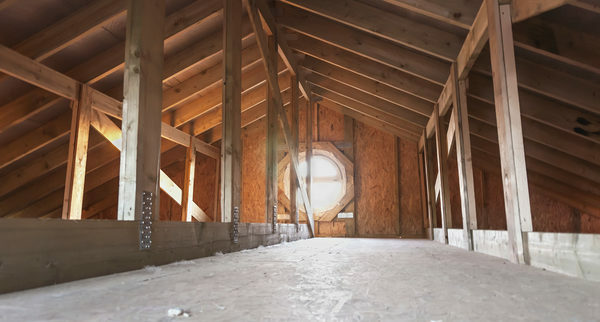 Adding insulation to your attic, on the other hand, creates even sensations of warmth throughout the home without having to worry about increased allergy triggers. Bay Area attic cleaners can identify causes of indoor allergens and inspect your attic for water or rodent damage. The warm season is definitely longer than the cool season in California. When you hire professional Bay Area attic cleaners to restore and insulate your attic, you receive the benefit of year-round indoor climate control. Just as attic insulation traps heat in the winter, it repels it in the warmer months to keep everyone in your home cool and comfortable. Please contact Element Home Solutions today by clicking HERE to learn more about the benefits of attic restoration for your Bay Area home. Call (888) 980-4822 to make an appointment today!